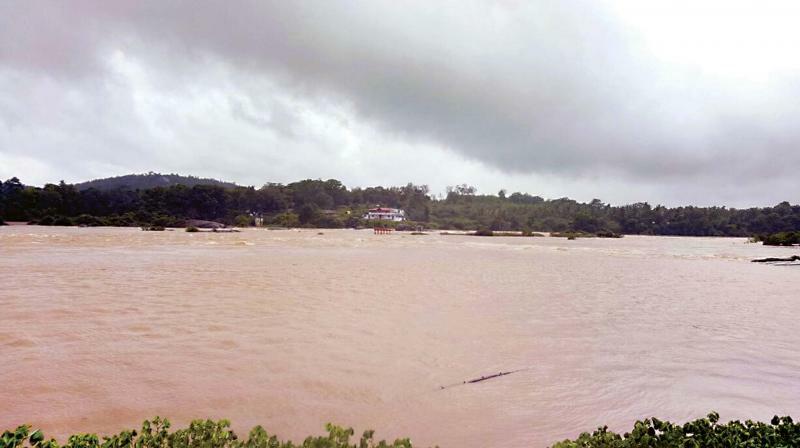 The inflow of water into Almatti dam shot up to 38,000 cusec during last few days. Belagavi: An increase in level of water in Almatti dam, the lifeline of people of north-Karnataka, has brought back smiles for farmers who endured an extended dry spell resulting in acute shortage of drinking water, in recent months. Such was the scarcity of water that residents of Vijayapura were supplied drinking water once in 15 days till recently. With incessant showers drenching most of the dry areas, residents are looking forward to supply of drinking water at least thrice or four times a month. The inflow of water into Almatti dam shot up to 38,000 cusec during last few days, but the authorities restricted the outflow to 35,000 cusec. The outflow has been maintained for last two days to ensure storage of released water in Narayanpur dam as a large population in areas around depended on Narayanpur dam as well. According to official sources, water from power unit of Almatti dam is being released directly to Narayanpur dam. The unit which shut operation for last some months also was made operational with rise in Almatti's water level. The dam helps produce at least 170 MW power. The current water level at the dam is 513.90 metres as against its maximum of 519.60 metres.